Fashion With A Conscience has moved. Visit www.fashionwithaconscience.org: Recessionista files. Samples sales starting on 11/17/2009. Enjoy! ;) 1. Samples and stock are 70 percent off at the Marlies Dekkers lingerie sale. Through 11/19. 50 W. 57th St., nr. Sixth Ave., eighth fl. ; T–Th (10–6). 2. Shirts and hats are 70 percent off and hoodies are 75 percent off at the Kidrobot sample sale. Hoodies are $25, T-shirts are $15, and hats are $10. Through 11/18. 56 W. 22nd St., nr. Sixth Ave., second fl. ; T–W (11–8). 3. Kooba handbags from current and past seasons are up to 80 percent off. Through 11/19. 141 W. 36th St., nr. Seventh Ave., nineteenth fl. ; T–Th (10–2) and (3–8). 4. 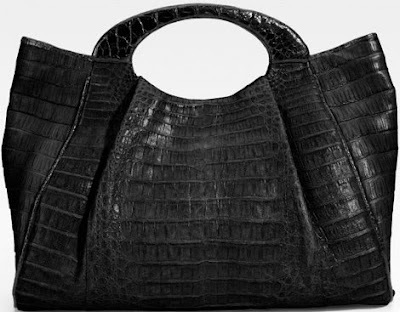 Classic crocodile clutches are 50 percent off at the Nancy Gonzalez sale. Through 11/19. 50 W. 57th St., nr. Sixth Ave., eighth fl. (212-920-1211); T–Th (10–6). 5. Handbags, totes, clutches, and wallets are up to 80 percent off at the MCM sample sale. New merchandise will be added throughout the week. Through 11/19. 50 W. 57th St., nr. Sixth Ave., eighth fl. (212-920-1211); T–Th (10–6).